Charles Henderson witnessed the horrors of war firsthand. He was there when American troops landed on the beaches of Normandy - on D-Day, June 6, 1944 - supervising the disembarking of vehicles from landing ship tanks and then walking among the hundreds of dead on the shore en route to reuniting with his unit. He was in Paris when it was liberated from Germans in August 1944 and with the XVIII Airborne Corps during the Battle of the Bulge, the last major Nazi offensive against the Allies in World War II in late 1944 and early 1945. Fluent in both German and French, he was a priceless asset as interpreter and interrogator. The Army had seen his potential soon after it drafted him as a private in 1942, and he was tapped for service as a military intelligence officer in Europe, according to his daughter, Anne of Hopkinton. After Mr. Henderson retired from active service in 1946 as a captain, he continued in intelligence in the US Army Reserve and was promoted to major in 1947, lieutenant colonel in 1952, and colonel in 1964, according to another daughter, Patricia Henderson Sauer of Everett. Mr. Henderson, who did all of his Reserve duty while teaching full-time in the Newton school system for 33 years and participating in many community matters, died Aug. 9 at Beth Israel Deaconess Medical Center, three days after falling in his Needham home. He was 94. He had lived in Needham since 1947 and after the death of his wife, Marnie (Wilde), in 2000, chose to live independently at their home. A longtime skier, Mr. Henderson was cross-country skiing at 88, still driving, traveling, participating in local theatricals, organizing poetry groups, and taking and teaching classes with Elderhostel Inc. His daughter recalled one class he took where he melted down the family silver and shaped it into some “pretty awful’’ jewelry. The family didn’t mind, she said, because it saved them from having to polish it. He also was generous. 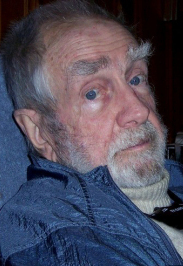 A trustee of the Needham Free Public Library from 1980 to 1995, he established, with his wife, the Henderson Trust Fund to benefit the library. Library director Ann MacFate said some of the fund’s interest has been used for reference and large-print books. Charles graduated from Kimball Union Academy in Meriden, N.H., in 1932 and from Bowdoin College in Brunswick, Maine, in 1937. He graduated from Weimar-Jena College in Weimar, Germany, in 1939. Prior to entering the service, he taught French and German at Cushing Academy in Ashburnham, and at Oakwood School in Poughkeepsie, N.Y. He and Marnie Wilde, a student at Cushing when he was on its faculty, were married in 1942. On his discharge from active service in 1946 and under the GI Bill, Mr. Henderson earned a master’s degree in education from Harvard. He started teaching in Newton that year. He stressed the importance of education to his children. “He said it was the only thing in life that can’t be taken away from you,’’ Anne said. While teaching in public school, he also was teaching at US Army intelligence schools and attending to regular Army Reserve commitments locally. He served for longer periods away from home as instructor and academic commandant at the First United States Army Area Intelligence School at Fort George E. Meade in Maryland. His retirement gave him more time to spend with his family, fulfill his craving to learn new things, attend cultural events, ski, and spend time with his feline friends - only adopted from shelters. There also was more time for helping seniors with tax returns and their other needs, though he never considered himself a senior, Anne said. Three cats survive him, Guinevere, Roscoe, and Chloe. When he learned that the last two were 11 and “too old’’ for adoption, he had raced to the Brockton shelter and saved them. In addition to his two daughters, Mr. Henderson leaves three grandchildren. A celebration of his life will be held at Needham Free Public Library at 2 p.m. Sept. 20. A private burial will take place the following morning at Needham Cemetery.